Whilst desktop PCs offer the best performance for the dollar, sometimes you wanna game on the go. In this review we take a look at 3 of the best gaming laptops on the market right now for 3 different budgets to help you make sense of the oftentimes confusing laptop market. 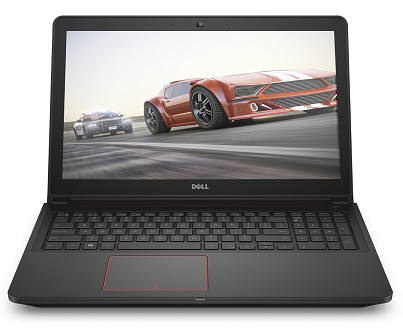 First is the best gaming laptop under $600 which will please gamers on a tight budget who still wish to play modern games. Moving up we cover the best laptop under $1000 for considerably better gaming performance. 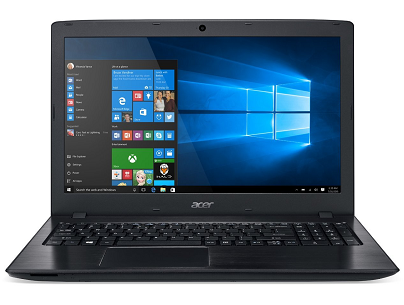 If you're shopping for the best gaming laptop on a tight budget of under 600 US dollars, the Acer Aspire E 15 is tough to beat. It boasts a very decent Intel Core i5-6200U CPU, 8GB of DDR4 RAM, and a dedicated graphics card specifically the NVIDIA GeForce 940MX (that comes with a decent 2GB of video memory). Whatever you do, if you want to play modern PC games, don't ever get a laptop WITHOUT a dedicated graphics such as this. With these components, specifically the 940MX video card, you can expect to play games like League of Legends, Minecraft, Dota 2, Team Fortress 2 and any older games very well. In more demanding modern games you can expect playable performance if you tone down the in-game graphic settings. This laptop also comes with a 256GB SSD for very fast storage and booting. If you need more storage you can always get an additional hard drive. The screen is 15.6 inches and is full HD (1980 x 1080). Overall, you can't go wrong for the price, and you'll be hard pressed finding a better gaming laptop for the same price. Just don't expect to be playing the latest Call of Duty at 60 FPS on Ultra Settings and you'll be happy. Moving up the ladder and we have the Dell i7559-763BLK with its Intel i5-6300HQ 2.3 GHz Quad-Core CPU, 8GB of RAM (DDR3 instead of DDR4 but that hardly matters at all), and a solid NVIDIA GeForce GTX 960M with a very nice 4GB of video memory. That's a very enticing mobile gaming setup right there, at a very reasonable price. With these core components you can expect to play most modern titles fairly well - and really well if you tone down some settings here and there. Just don't expect jaw-dropping performance and you'll be satisfied. Again, it's got a nice 15.6 screen which is a big enough for an immersive experience yet not too big making the laptop too heavy and clunky, and it comes with a fast 256GB SSD for super-fast storage. 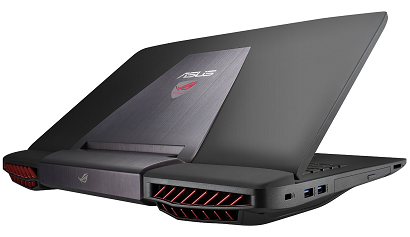 Now we start getting into serious gaming performance, and the ASUS ROG G751JY-VS71(WX) is hard to resist at the sub $1500 price point with its impressive feature list. First of all, it looks real impressive with a super-cool futuristic design. But it's not all show and the insides are where it really shines - a very capable NVIDIA GeForce GTX 980M 4GB graphics card that can dominate the latest games in HD being the star of the show. Throw in a beastly i7 processor and a whopping 16GB of RAM and you've got one serious gaming powerhouse for a respectable price. That's not to mention the endless list of other features such as a high quality 17 inch screen with built-in G-sync hardware, plenty of ports and connections, very solid cooling capabilities, and an awesome keyboard. It's also VR-ready, too. Highly recommended. Choosing between the top 3 best gaming laptops above, besides depending mostly on your overall budget, will also come down to which exact games and applications you wish to play (and how well you want to play them). No point getting the high-end or extreme model if you'll only be playing older games. But if playing the latest games in their full glory with flawless 60 FPS on ultra settings now and over the next few years is important to you then getting a cheap laptop is only going to disappoint and/or you'll have to upgrade sooner rather than later. If you want to continue doing your homework on choosing the laptop for gaming (which we encourage - don't just take our word for it), be sure to have a read of our more-detailed Gaming Laptop Buying Guide so you know more about the features to consider when on the hunt. Good luck!